The Open Doors ministry is urging Christians in the U.S. and elsewhere to tweet, "@realDonaldTrump, in your April 30 meeting w/ President Buhari, pls raise Fulani militant herdsmen violence in northern Nigeria. In the last year, 50 Christian villages have been destroyed & thousands are dead. Praying 4 you... #pray4Nigeria." Last week, at least 39 Christians were killed and more than 160 houses were set ablaze in attacks by Fulani herdsmen in Nigeria's Benue state, according to Morning Star News. Since 2011, the herdsmen have destroyed 500 church buildings with attacks that have displaced 170,000 people, Akpen Leva, chairman of the Benue state chapter of the Christian Association of Nigeria, said. The Fulani herdsmen have been accused of aligning with the Boko Haram terror group, which has been seeking to impose strict Sharia law on its northern regions. A little over 51 percent of Nigeria's population is Christian, and Muslims account for about 45 percent in the country's north and middle belt. The 2017 Global Terrorism Index described the herdsmen as terrorists in 2014, and said the Fulani are responsible for more than 60,000 deaths since 2001. However, government officials do not recognize that the Fulani are targeting Christians for their faith. Buhari, who belongs to the Fulani tribe, should be asked to "ensure that all Nigerian citizens are protected equally regardless of their ethno-religious affiliation–providing timely security when they have credible reports of impending attacks," Open Doors says on its website. The Methodist Church Nigeria has urged the country's Christians to pray for peace. "There is a need for Christians to be patient with those who irritate them the most and stop being self-centered," Adeolu Odugbemi from the Methodist Church said, according to La Croix. "For any nation to live right, it must strive for peace and holiness, because where there is envy and strife, there is confusion and evil. Anybody who raises strife is of the devil." He added, "Christians should kill the spirit of war that some people are trying to raise. [They] should not be an initiator of any crisis by opening the doors of confusion through their statements." Recently, Pope Francis offered his prayers to Christians in Nigeria. 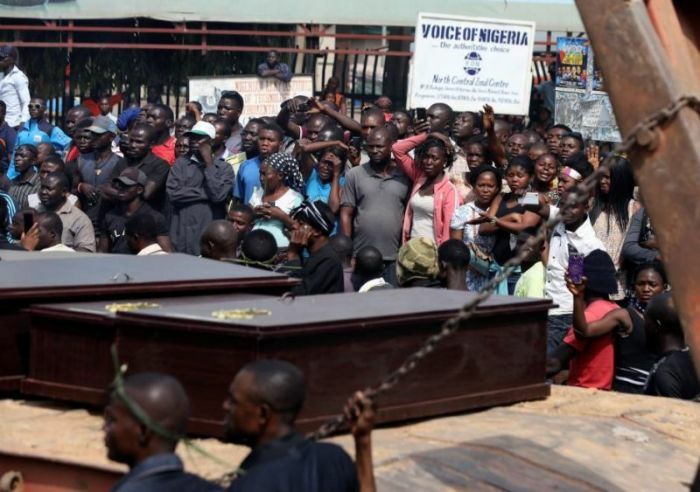 "Last week the Christian community of Nigeria was attacked again, and a group of faithful were killed, including two priests" he said, according to Vatican News. "I entrust these brothers of ours to the mercy of God, he continued, and pray so that those severely tested communities may find harmony and peace."